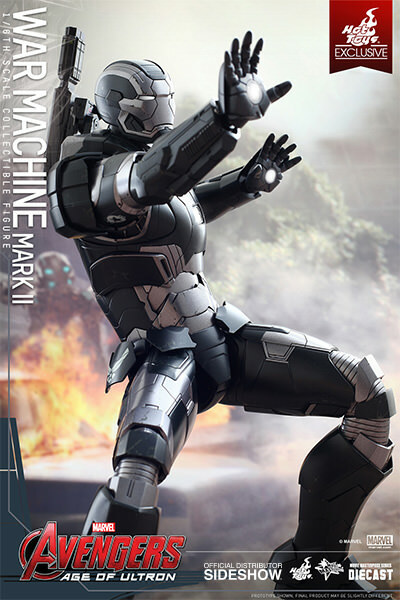 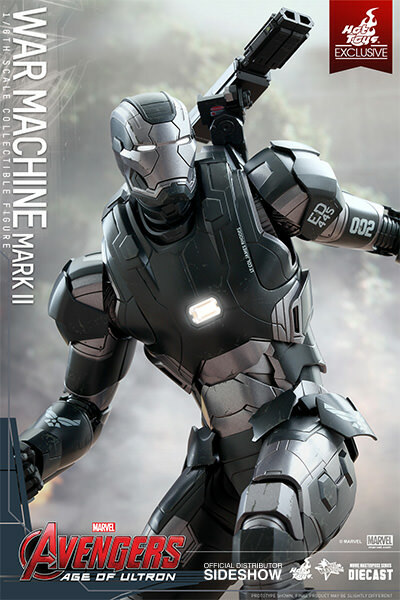 Hot Toys are excited to present the new War Machine Mark II Sixth Scale Collectible Figure as a Hot Toys Exclusive item! 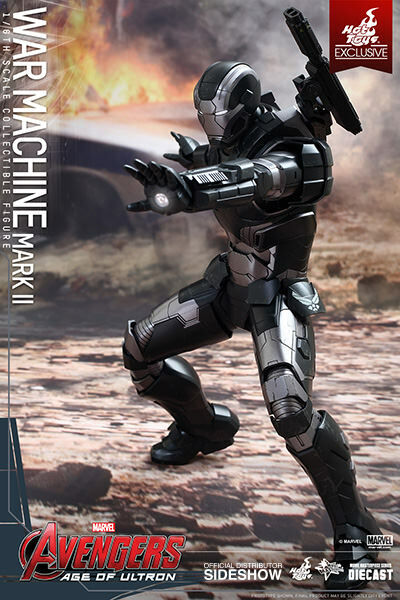 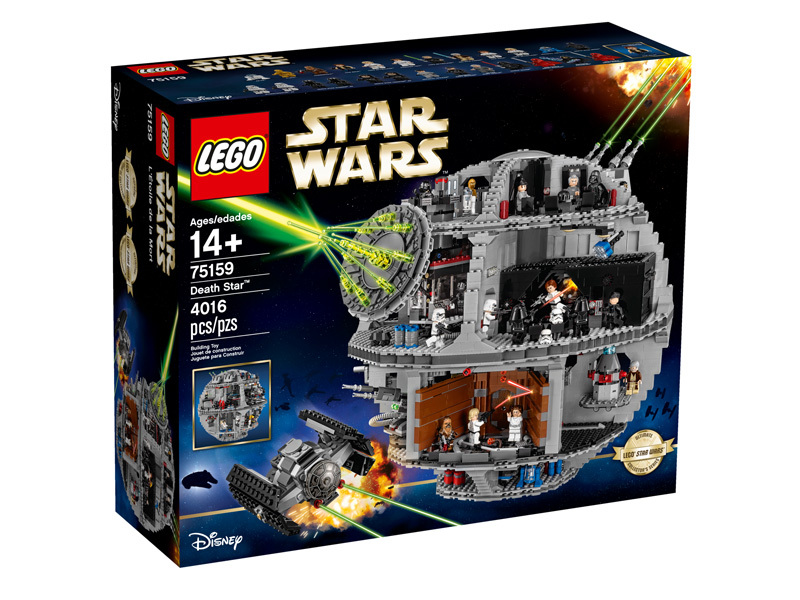 The newest addition to the MMS Diecast series is made of diecast material and is realistically designed to look even more like the armor as it appears in the film! 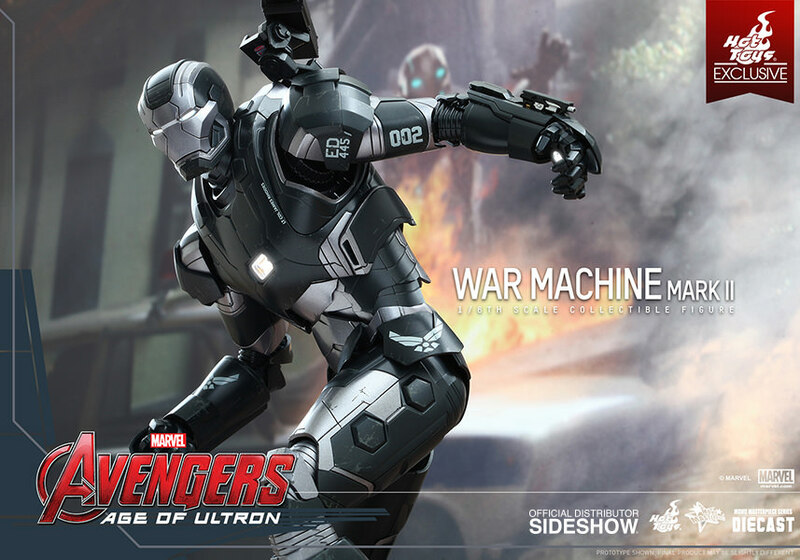 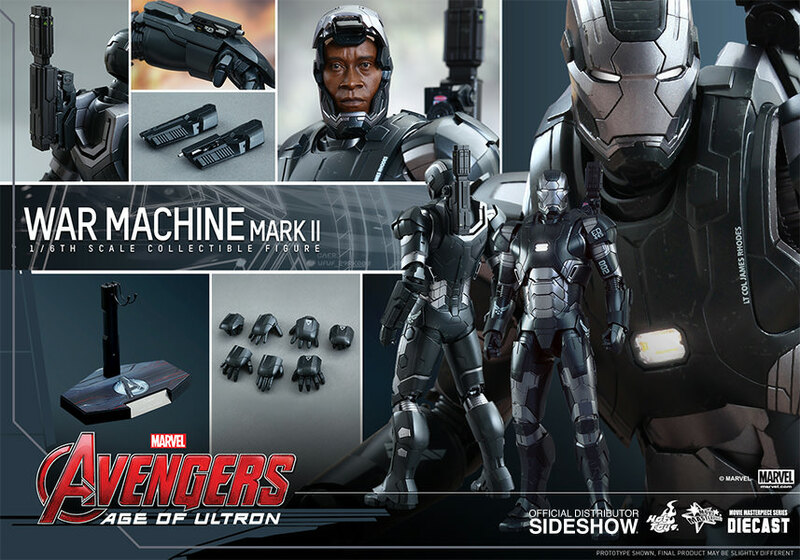 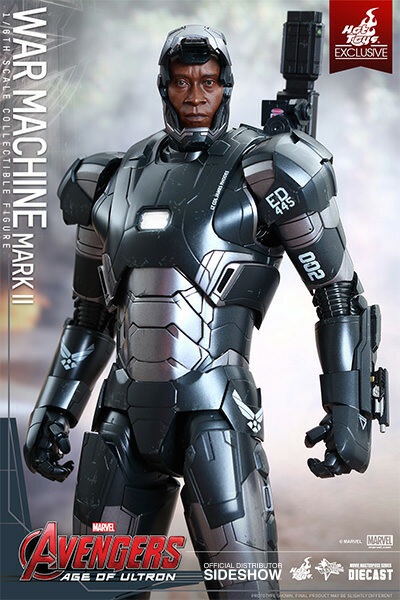 The movie-accurate War Machine Mark II Collectible Figure is crafted with great detail and is based on the image of Don Cheadle as James Rhodes/War Machine in Avengers: Age of Ultron. 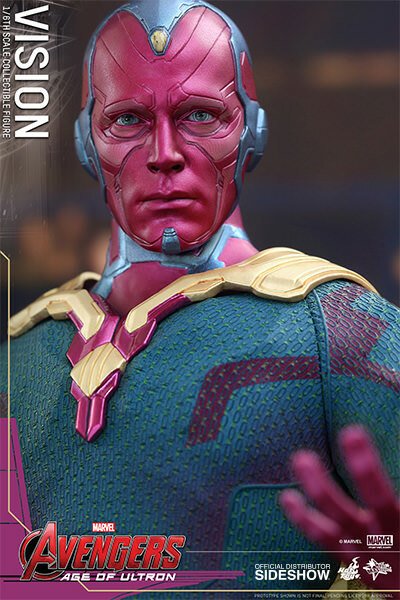 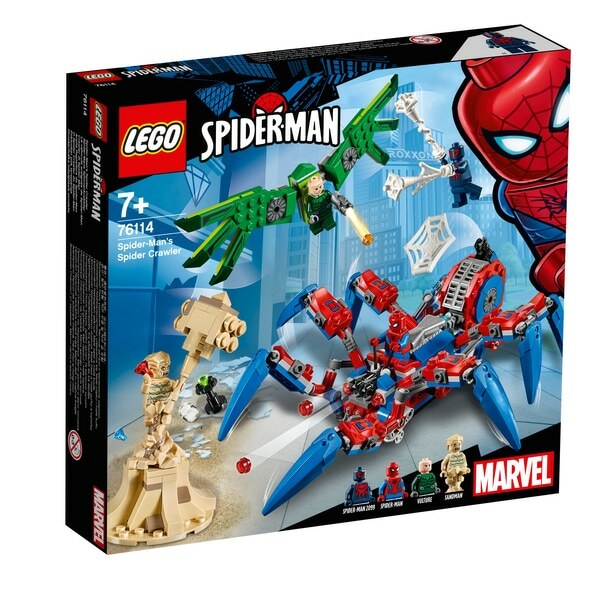 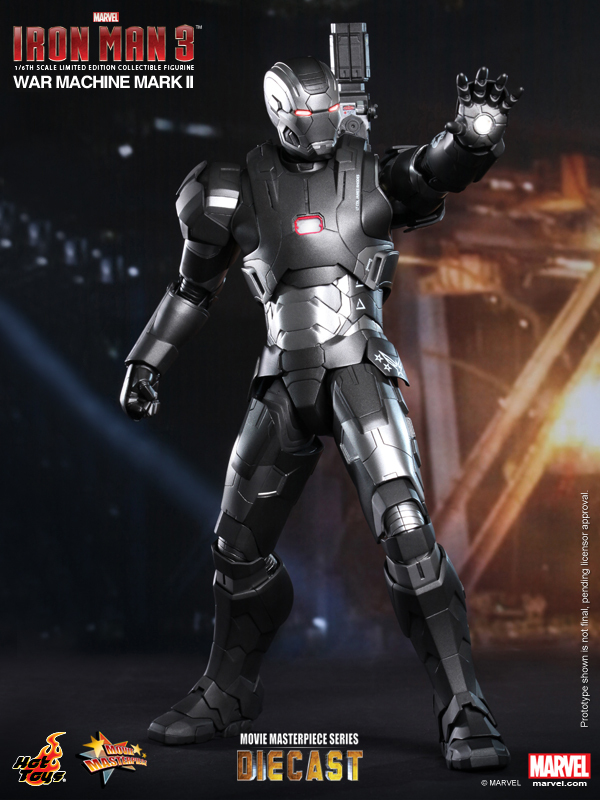 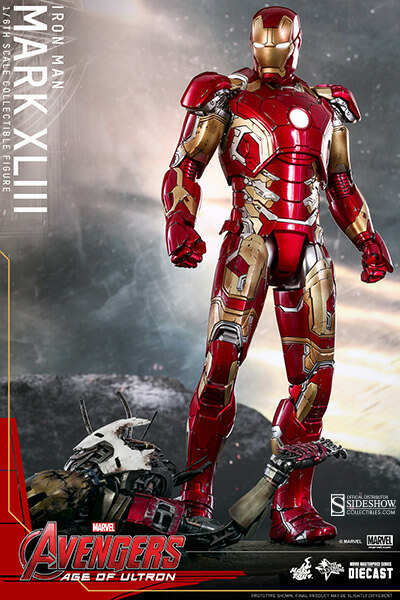 It features a highly detailed head sculpt, metallic black and dark silvered colored armor with decals, LED light-up functions, rotatable machine gun, and a specially designed Avengers: Age of Ultron figure stand. 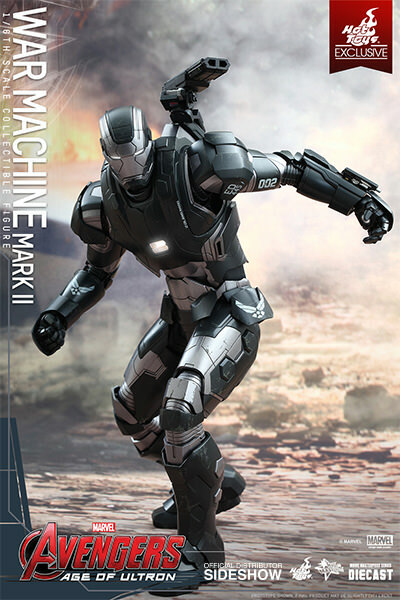 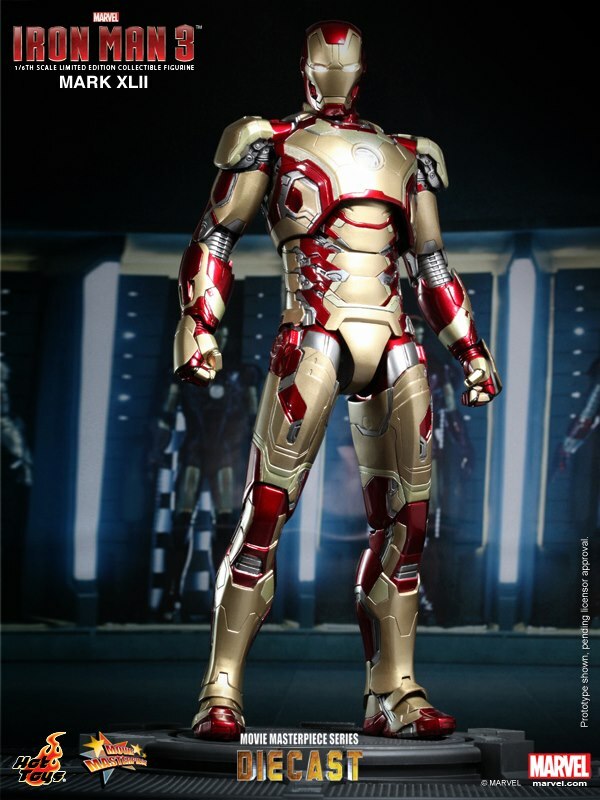 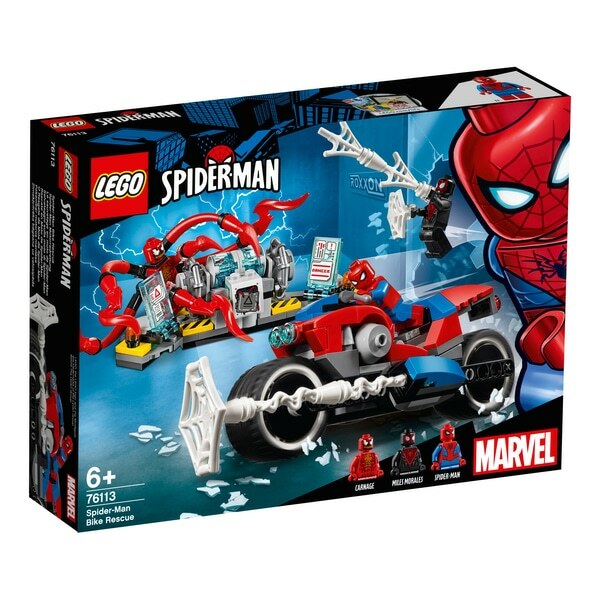 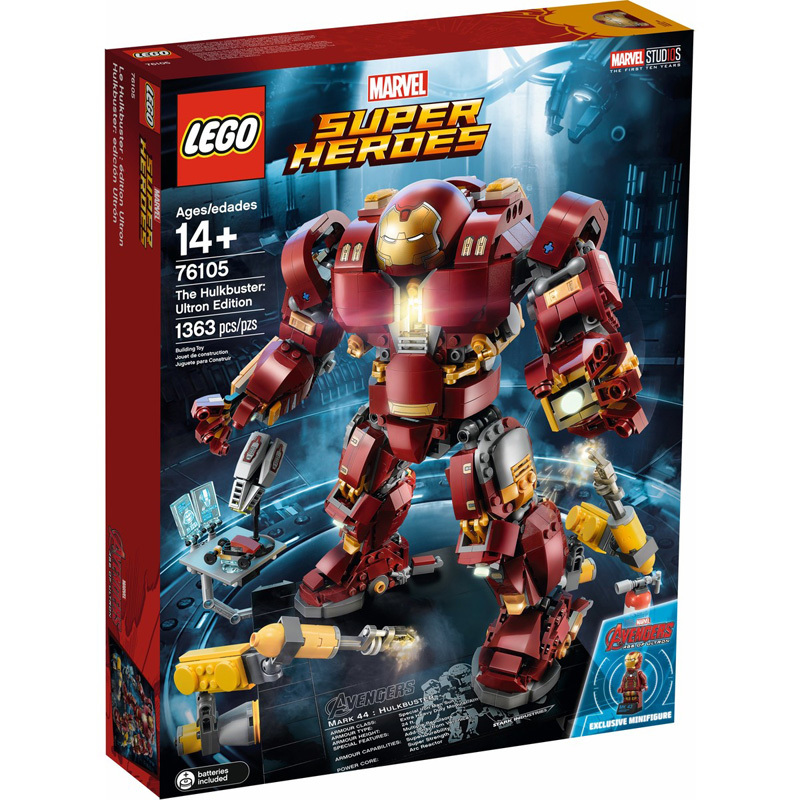 Gear yourself up for this super exciting film and expand your Avengers collection with this diecast figure because "War Machine rocks!"